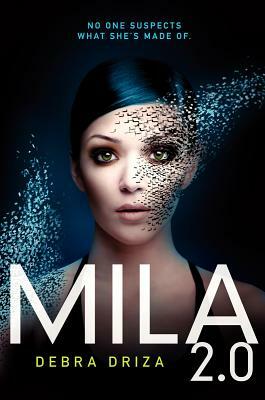 Mila's story is a bittersweet story of a girl who thought she was nothing but an average high school student coping with the loss of her father, but quickly, her average life is turned upside down when she finds out she's a robot. Still with human emotions, the reality of her life seems like a living nightmare and she's the only hero she's going to find in the shadows. Debra Driza is the author of MILA 2.0 and MILA 2.0: Renegade. She is a member of the teen lit blogging group the Bookanistas and a former practicing physical therapist who discovered that tormenting her characters was infinitely more enjoyable. These days you can find her at home in California, wrangling one husband, two kids, and an assortment of Rhodesian ridgebacks. You can visit her online at www.debradriza.com.